Redway Runners gearing up for the MK Rightmove Marathon Weekend! We spoke to Martin Lawrence, Chair of the Redway Runners, about how preparations are going. MK’s biggest running club, the Redway Runners, plays a vital role in the MK marathon, by training runners, providing volunteers and getting the people of Milton Keynes excited about the event which will take place on 5-6 May this year. 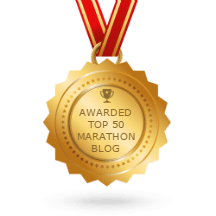 The 2,000-strong club 387 members running over the 2019 Rightmove Marathon Weekend on Sunday 5 and Bank Holiday Monday 6 May, and is supplying an impressive 250 plus volunteers who will help everything to run smoothly, by being ‘mile marshals’ on the course route, helping at the start and finish lines, and handing out medals. Martin Lawrence, Founder and Chair of the Redway Runners, set up the running club in 2010, with the aim of getting just 10 runners on board. Now he runs the club – which charges people an annual membership fee of just £5 – full-time, supported by a committee and countless other helpers. People join the Redway Runners for all sorts of reasons: to lose weight, to increase their pace, for social interaction, to improve their stamina, or just to have fun. The club – which has many awards to its name – has around 40 runs a week at different times of day and recommends to new members which groups would be suitable for them. Volunteers are promised a fun and rewarding experience, while giving something back to running and to our much-loved Milton Keynes on Bank Holiday Weekend. Every volunteer will receive a free boot bag, a high-quality technical volunteer t-shirt, a volunteer badge – and a free Subway lunch on race day. Plus, all volunteers are invited to join in the wrap-up celebrations at Wetherspoons in Midsummer Boulevard on the Bank Holiday Monday evening. 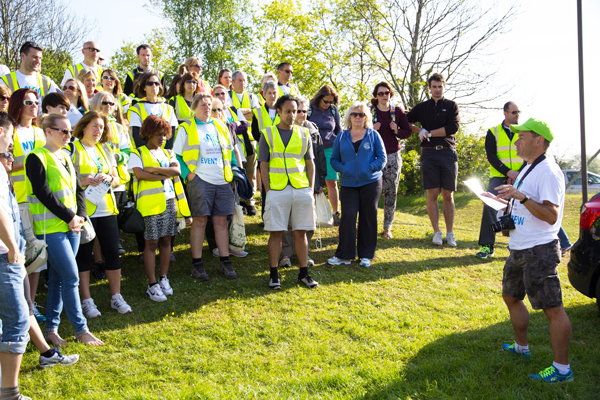 If you’re a business, individual, or community group that’s interested in volunteering, email run@miltonkeynesmarathon.co.uk Alternatively, visit www.mkmarathon.com/eventcrew/ to sign up, view FAQs or get further details about volunteer roles and responsibilities. Or visit www.mkmarathon.com for all other enquiries.